"Basically, it's the 800-pound gorilla in the room." That may seem an odd way to describe a fish swimming in a lake. But Dave Majkrzak believes it's spot-on when talking about the muskie population in Pelican Lake and the problems he says the fish — and the Minnesota Department of Natural Resources — are causing. For 37 years, the DNR has stocked Pelican with small muskie, helping turn the lake into a kind of muskie paradise. A cousin of the northern pike, the muskellunge has a passionate following among anglers. Muskie grow slowly, but 48-inch catches are not uncommon and Pelican has a reputation as a trophy lake. 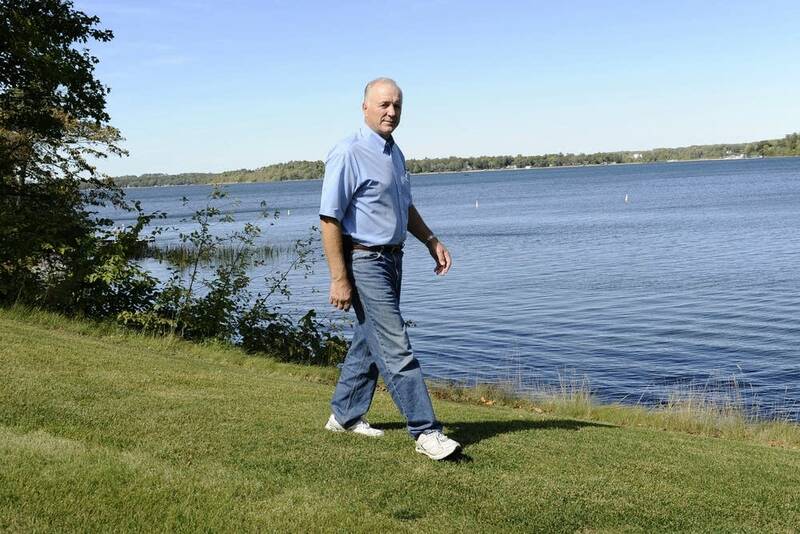 Majkrzak and other lake homeowners, however, say it's gone too far. The stocked muskie grow into monsters that eat all the food and damage the walleye fishery, he says. Many of his neighbors agree. The local property owners' association has hired a lawyer to seek an environmental review before the DNR's next muskie stocking in October. DNR officials and some fishing guides say the lake is healthy and there's no evidence that big muskie are destroying walleye or any other sport fish. The continuing questions, however, have pulled the agency waist deep into another Minnesota fish fight. Majkrzak said the homeowners group will sue if the DNR doesn't agree to the study demand and stop the October stocking. He said residents are frustrated and angry. "Our people are talking about selling their lake places," he said. "We had one couple say, 'We can't catch a walleye on this lake anymore, we're going to sell our lake place and move someplace else.' We've had people that have talked about protesting at the landing site." 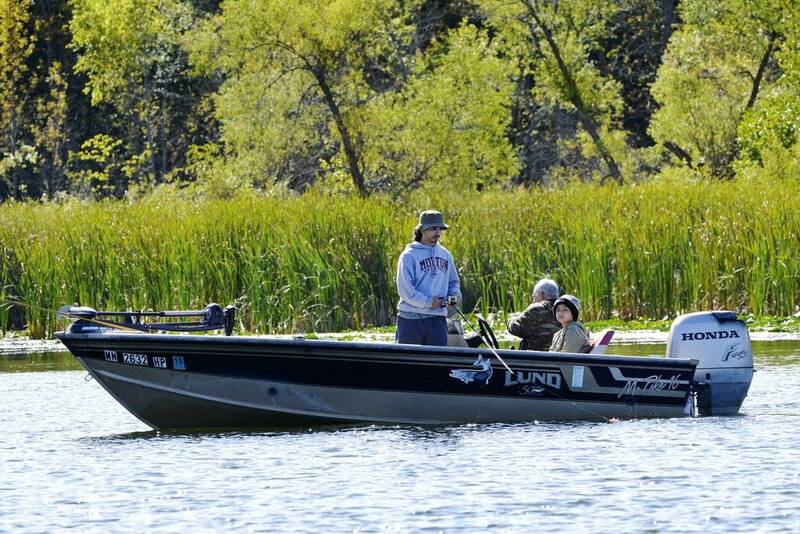 Fishing might be more difficult because Pelican Lake has changed in the past five years. Zebra mussels make the lake clear because they filter algae from the water. That makes it easier to see fish, but it also make fish like walleye more wary. And with more light penetrating the water, more plants grow. As conditions change, so does fish behavior, says DNR area fisheries supervisor Jim Wolters. "If people are fishing in the spots that let's say they fished, back in the 80's, and not getting fish, it doesn't mean the fish aren't there," he said. "The fish have obviously adapted to the conditions and I think anglers need to adapt also." Wolters says DNR data shows Pelican Lake is a healthy fishery. "We've seen no negative impact of muskies on Pelican Lake through the course of our surveys," he said, noting a "record number of yellow perch in our nets" this year. The walleye gill net catch rate was "right at the historic average for the lake over time," he added. The DNR now manages 116 lakes for muskie. (That doesn't include connected lakes where muskie have moved.) The DNR long-range plan calls for adding muskie to eight new lakes across the state by 2020. In Pelican Lake, the agency stocks about 800 muskie each year, compared to 1.6 million walleye every other year. State law says anglers can only keep muskie longer than 54 inches. 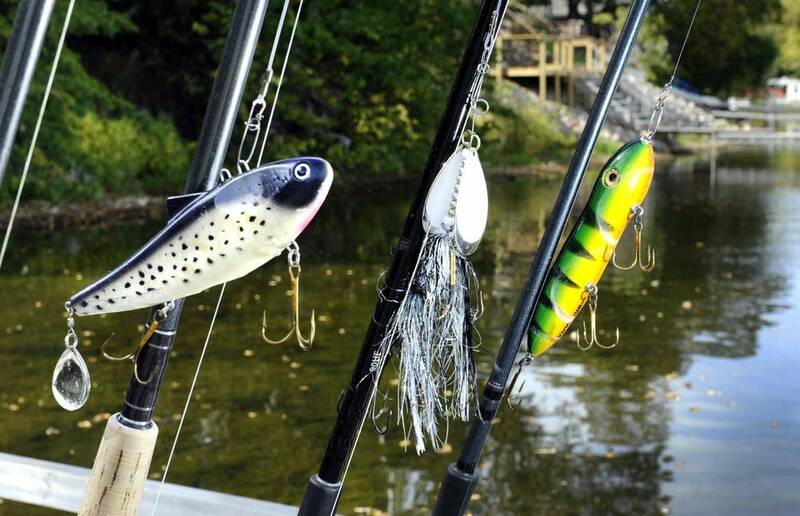 Wolters says a growing number of anglers are chasing the elusive trophy fish. He concedes the DNR doesn't have good population data on muskie in Pelican Lake, but adds that a study underway now will provide answers next year. Majkrzak isn't satisfied with any of answers the DNR provides. "They've gotta use scientific data and they've gotta use facts and they have to be straightforward and honest with people," he said. "We just don't believe they've been straightforward with us." Majkrzak says for years local residents have joked about carrying a hammer in the boat to kill any muskie they catch. But he says the fear is real for a growing number of lake residents. "We have people reporting a muskie laying under a dock. Sitting there like an alligator under a dock," he said. "And with the clear water you see 'em under there. Ask your granddaughter to go dangle her toes in the lake when you've got a 5-foot fish under the dock." Fishing guide Jerry Sondag said interest in muskie fishing on Pelican Lake has increased significantly over the years. He says he doesn't let clients keep any muskie they catch and that most are satisfied to take pictures and measurements, then pay for a taxidermist to make a replica fish they can hang above the fireplace. So far this year, his clients have only caught two muskie on Pelican bigger than 54 inches. Sondag accuses those who oppose muskie stocking of fear-mongering. Wolters says the walleye-muskie dispute involves "hysteria based on false information." Sondag, who grew up on the lake and now makes his living guiding anglers in search of trophy muskie, says he's heard all the complaints about how muskie are damaging fishing in the lake and dismisses them as ridiculous. "Here's what it is," Sondag said. "You have a bunch of retired guys who have nothing better to do. Because they're terrible fishermen, they're going to sit on their butts and persecute another group. (If) they want to learn how to fish, I'll take 'em fishing. It's $500 a day. Jump in my boat and I'll teach you how to catch a fish."